We offer a complete line of solutions for homeowners to address crawlspace issues. You have a crawlspace that needs some love. We love cleaning up crawlspaces! Win/win. We provide full service solutions for basements and crawlspaces that include encapsulation and dehumidification. We work closely with you, the homeowner, to determine the extent of the issues and then provide you with a plan to address the issues. Once you accept, we’re able to quickly fix your problems in a non-invasive manner. We work quickly to make sure you’re enjoying your home improvements in no time! 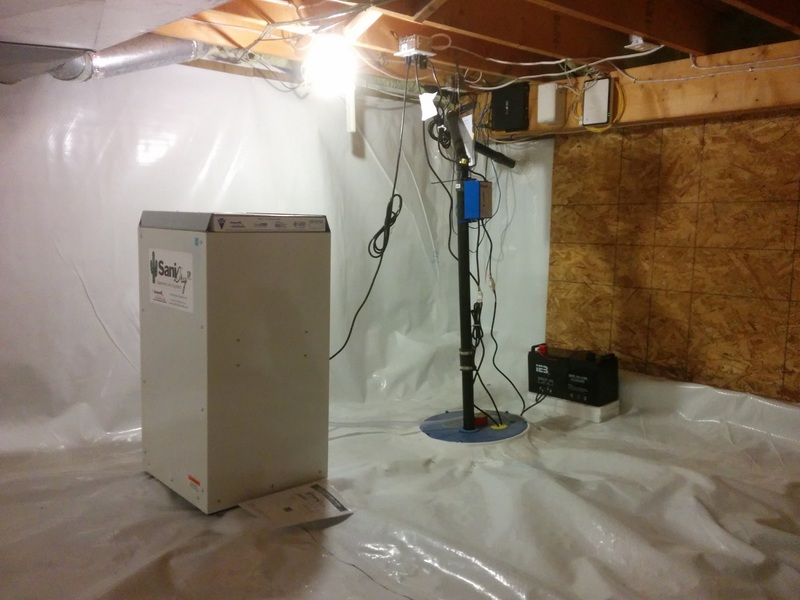 Many crawlspaces need a dehumidification system in addition to encapsulation to draw excess moisture from the area. 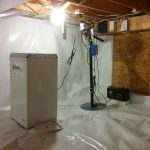 Our dehumidifiers are designed specifically for basement and crawlspace applications, with the ability to draw moisture from the air even at low temperatures. The SaniDry system is installed with high efficiency air filters to condition the air in your home, capturing mold spores, dust mite, debris and pollutants while collecting significant amounts of moisture from the air.